The Learn Sheffield Subscription Offer for 2018-21 can be downloaded here. In order to indicate your intention to subscribe please contact us by email at enquiries@@learnsheffield.co.uk, or by phone on 0114 250 7417, so that we can send you a subscription form to complete. We will then be in touch to arrange your subscriber planning session which can either take place with your individual school or with a group of schools of your choosing. 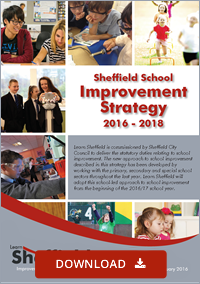 Learn Sheffield is currently commissioned by Sheffield City Council to deliver the statutory duties relating to school improvement and to deliver a school improvement strategy for the city. This commission, which is £860k per annum for three years, began in September 2015 and concludes in August 2018. Over the past few months we have been discussing how this arrangement will be followed by a collaborative approach to funding Sheffield’s strategy for educational improvement. This new approach, which is outlined below, brings together contributions from Sheffield City Council (in the form of a further smaller commission), schools and academies (through a subscription) and Learn Sheffield (who will re-invest surplus income that we will have generated). 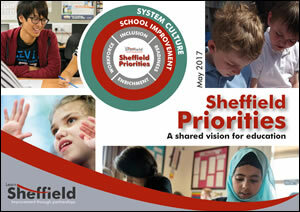 The Sheffield priorities constitute a shared Sheffield vision for education. They were developed in 2016 and have been revised and updated at regular intervals since then. Key priorities for the 2018/19 academic year will be identified when the Priorities are revisited in the summer term of 2018. The School Improvement Strategy will be revised and a new 2018-2021 version will be published in the summer term of 2018. This will set out the approach to the delivery of the new Sheffield City Council commission (see details below) in the context of this subscription offer. The funding model, which was agreed at Schools’ Forum in January 2018, provides for continuity in terms of both funding levels and approach to a school-led system. The content of the Sheffield City Council School Improvement Commission is set out below. As previously, Learn Sheffield will be scrutinised in relation to performance in the four areas below. categorise all Sheffield schools and academies. self-evaluate on behalf of the city in relation to performance. deliver the statutory entitlements for maintained schools. provide support and co-ordination to ensure that appropriate education partnerships continue to be developed. provide additional support for vulnerable schools. provide system co-ordination within the city to maximise funding and partnership for Sheffield schools and academies. Offer Available to all schools/academies – including non-subscribing schools (most elements available only to maintained schools). Funded by the SCC Commission. Bespoke Menu Each subscribing school/academy has a ‘credit’ (£850 primary or special / £1650 secondary) which they can use to ‘purchase’ from the menu of school improvement services below. Funded by subscription income. The cost of the subscription offer is outlined below. Each subscribing school or academy will pay £1500 plus £4 per school-aged pupil in the first year. 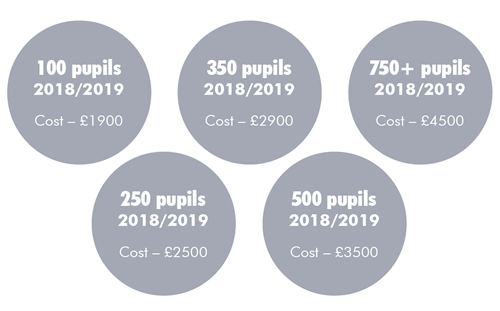 The subscription cost is capped at 750 pupils so that the maximum cost to a school or academy in the first year is £4500. The subscription lasts for three years but there will be a break clause at the end of each school year to provide an opportunity for a school or academy to be released from the contract. Examples of the costs for 2018/19 are below. The payment terms are still to be finalised but we intend to offer schools and academies the option of either a single payment (in September) or three termly payments (in September, January and April). Similarly, we are currently modelling different approaches to the mechanism for identifying the number of pupils in each subscribing school or academy. It may be that we use the most recent census data at the time of subscription for this purpose. Available to subscribing schools/academies – delivered through the seven primary locality partnerships, the Secondary Partnership & the Special Partnership. This aspect of the offer has previously been funded by the Sheffield City Council Commission, and will largely continue to be so in the future. We propose to continue to operate through the seven primary localities, the secondary partnership and the special partnership. This will include the current approach to providing action plan budgets, which will be funded from the subscription income from schools and academies. Each partnership will have at least one identified Learn Sheffield Improvement Partner and also access to the wider Learn Sheffield Improvement Partner team. The LSIP capacity available to schools in all sectors will increase next year and we will begin planning for the 2018/19 recruitment and deployment of LSIPs early in the summer term. This process will include input from each sector on the way in which their LSIP team develops. Locality A has had great value this year from the strategic work and support from our LSIP and the funding of our action plan from Learn Sheffield leading to key priorities in our locality being addressed and outcomes for our learners improving. 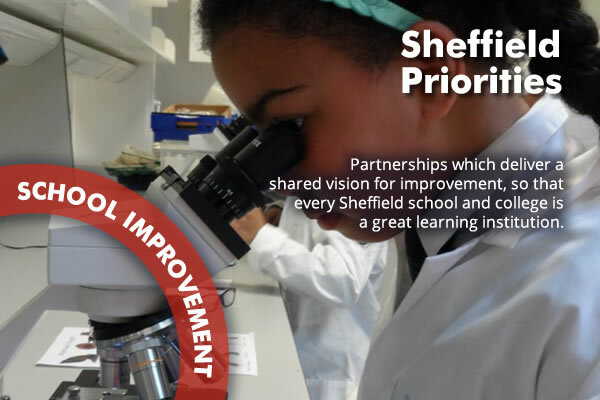 Each partnership will have at least one identified Learn Sheffield Improvement Partner, in line with the way that Learn Sheffield has worked with primary localities since it began. The overall capacity of the primary LSIP team is expected to increase slightly in 2018/19, following on from the increase in the current academic year. This will give localities wider access to a greater range of expertise. The Secondary Partnership has had an identified Learn Sheffield Improvement Partner this year, for the first time since Learn Sheffield began. The involvement of Learn Sheffield in a CPD Research Project (alongside the Wellcome Trust and SHU) will enable the Secondary LSIP team to be expanded (by approximately fifty percent) in 2018/19. The sector will, once again, be involved in this recruitment. The addition of LSIPs in the secondary and special sectors was an important step this year which gives us a good platform to grow over the next three years. As always each sector will be fully involved in the agreeing the way that we grow our capacity. The larger team will provide greater choice for schools and academies when they identify a LSIP to work with on an identified activity. The Special Partnership has also had an identified Learn Sheffield Improvement Partner this year. The sector supported the identification of both the Special LSIP and another consultant who was employed to support a group of identified schools with Ofsted preparation. Involvement in the CPD Research Project will enable our Special LSIP team to grow slightly and the sector will work with Learn Sheffield to determine how to make this additional capacity have the greatest impact on schools in the sector. Schools working together rely on comparable data that is clearly presented to help identify both local priorities and where schools may require collective support. A locality data pack containing all the headline key stage measures has been provided to all primary schools and academies in 2016 and 2017 at the end of the summer term. The data pack will be expanded to include pupil group and contextual information in 2018. Access to the locality data in the summer term helps me to see my school in context and enables our locality to plan our activity based on the right priorities. Initial headline information is also produced in relation to Key Stage 4 and Key Stage 5 as soon as the results are known in August. This information is refined and developed as more information becomes available through to the confirmation (and later validation) of national data later in the Autumn term. The developments in data sharing and analysis in the Secondary sector have been very positive. This has been a platform for more peer challenge and collaboration. Learn Sheffield will continue to fund an assessment network in each sector, as it has done previously, as part of the Achievement Strategy. The networks, which are described below, enable information to be shared and practice and resources to be developed collaboratively. Next year will see greater cross-sector collaboration which will include a project, in response to the Rochford Review, to bring together work on the assessment and tracking of pupils who are working below the standard of the national curriculum. The special assessment network is co-ordinated by Clive Rockliff (Seven Hills) and Kate Sandilands (Rowan). It has been focussed on the development of assessment of pupils working below the National Curriculum. The secondary assessment networks are co-ordinated by Adrian May (TSAT) with support from the Performance and Analysis Service (PAS). It has two overlapping groups: one for colleagues who co-ordinate examinations and a second for Assessment Leaders. The approach to moderation across the primary sector has developed significantly in the past two years. Moderation training has been widened and well over a hundred colleagues have received training. This has provided school, locality and city level moderation teams. It has also led to the development of the Locality Assessment Leads (LALs), who have had a significant impact on achievement. The emergence of the Primary ‘Locality Assessment Leads’ has had a big impact on improving the consistency of the approach across the sector and is helping to raise standards across localities. Learn Sheffield will continue to provide business support to partnership groups in each sector. This support, which takes the form of both a project officer and, when required, the use of the Learn Sheffield Hub as a venue, is designed to ensure that school leaders are able to take on roles in these partnership groups without this including excessive administrative roles. The four business supported partnerships, which are included in the partnership core offer, are below. This includes a project officer to support the meeting chair with the drafting of the agenda, communications and the taking of minutes for each meeting. This includes meeting at the Learn Sheffield Hub and having a project officer to support the sector chair with the agenda and minutes of each meeting. This PIB meets at the Learn Sheffield Hub and is chaired by a member of the LSIP team. The minutes and agenda are supported by a project officer. This meeting has access to a project officer who books the venue and speakers, on behalf of the school-lead, and provides the minutes of the meeting. Learn Sheffield also provides business support to a range of other partnership groups, including the Sheffield Teaching School Group. The business support of partnership groups is very important in the development of a sustainable and effective school-led system The existence of the Sheffield Teaching School Strategy Group has enabled TSA collaboration to develop, which can only benefit Sheffield schools and academies in the future. Cohesion is highly important in a school led system and this is where Learn Sheffield comes in. Each partnership action plan will continue to have budget to support the collective priorities of the group, which are informed by the data analysis in each sector. The Secondary Partnership, following the analysis of the 2017 data, decided to fully fund the Pupil Premium Project that has been led by Marc Rowland. The widespread participation has enabled strong practice to be identified and key lessons to be shared. The action plans have often included support for vulnerable schools within the partnership, often through the process of support and challenge meetings. These budgets cannot be set until the overall level of sign up in each sector is known, but the intention is to retain similar levels of funding to the current position. Budgets are also likely to continue to include a mixture of cash and in-kind support (e.g. the deployable time of LSIPs and other resources). The use of similar partnerships and budgets are being considered in response to other Learn Sheffield priority areas. It may be that task and finish groups may be funded to complete a specific development with a mixture of deployable capacity and cash budget. The Learn Sheffield funding has provided a focus for our activity and this has made a significant contribution to the further development of partnership working in our locality. The Learn Sheffield action plan budget enabled the Special School Partnership to target additional support to each of the schools in the partnership who were preparing for an Ofsted Inspection. Each element of the School Improvement Core Offer is available to all subscribing schools and academies. The School Improvement Core Offer is funded predominantly by subscription income, with safety net additional support funded from the Sheffield City Council Commission. The School Health Check comprises two days of support for each subscribing school or academy each academic year. This support would cost £1100 at the current LSIP day rate of £550. This support can be delivered flexibly to meet the needs of the schools and will, where ever possible, be scoped out at the annual subscriber planning session in the summer term. This should include identifying the partner or partners who will provide the Health Check. Some examples of how the two days of support could be scheduled are below, although these are only designed to provide ideas. Many schools will consider the allocation of these days alongside other support available within the subscription offer, for example the day of Ofsted support or the potential to use the bespoke allocation to secure additional LSIP days. There are many ways to use this two-day allocation of support from any member of the team, either standing alone or in conjunction with other time available as part of the subscription. The key will be to plan early and ensure that the activities you choose support your school improvement planning. Data is essential to knowing your school and understanding your strengths and weaknesses but there is so much data available it can be overwhelming. 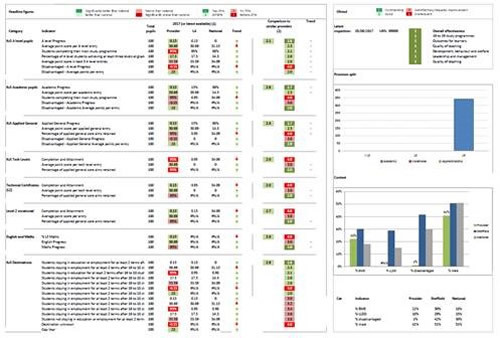 The data analysis component of the school improvement offer provides you with access to all of your end of key stage and contextual information in one place with summary reports to help you identify priorities for your school quickly and easily. The data provided as part of the school improvement offer also allows you to benchmark your school against national results and other schools in the city to help you understand your school’s performance within broader contexts. Having an early overview of the key headlines for my school helps me to plan and prioritise at the start of the school year. Opportunity to attend annual data training for 2 members of staff. 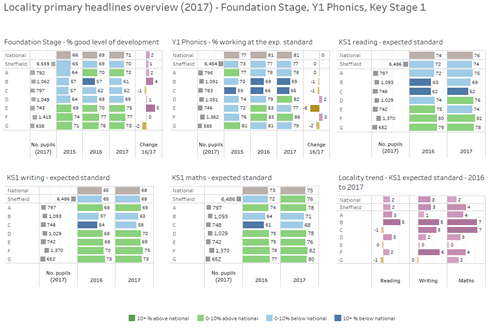 Analysis of end of key stage data from foundation stage to key stage 2 including trend analysis and pupil groups. Pupil attendance tracking reports to support identification and intervention for pupils with low attendance. 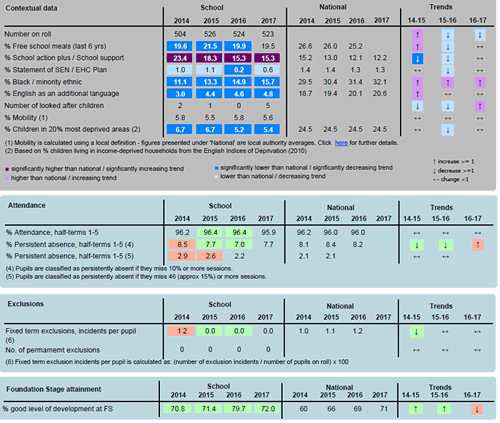 An early view of end of key stage data in the summer term including the end of term Primary Data Briefing. 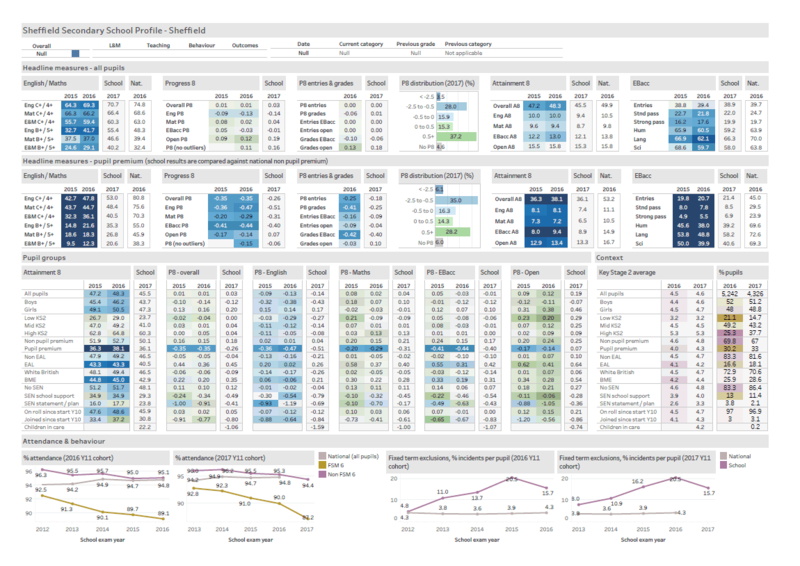 Analysis of key stage 4 data early in the autumn term including pupil group, trend and subject level data. 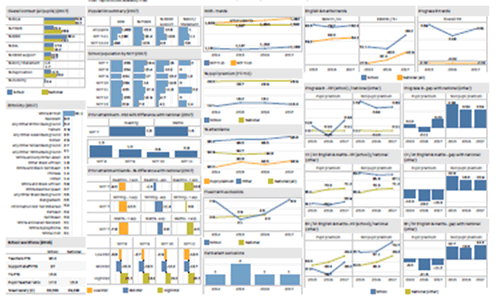 Analysis of annual destination and activity data to support understanding of progression and the effectiveness of careers education, information, advice and guidance. 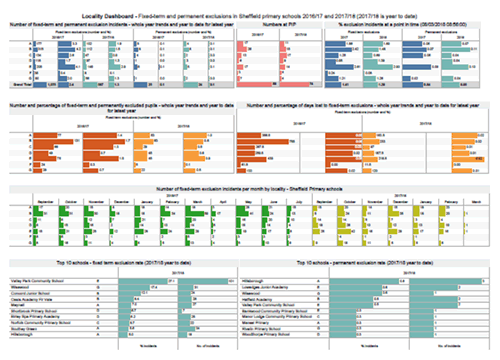 Early view of post-16 destination measures (outcomes of same cohort published a year and a half later by DfE) including individual level data to allow identification of young people who are not participating. 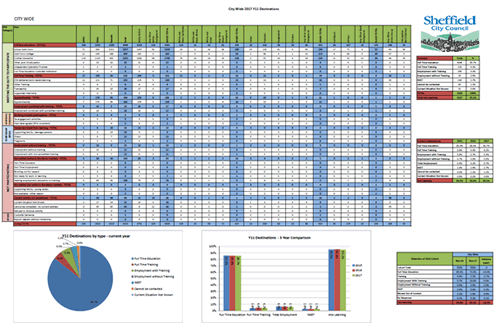 Pupil level data and whole cohort contextual summary for Y7 transfer group in July. Having all of our data at our fingertips is very important to us as a school. Whether the audience is Ofsted or we are using it when working with colleagues – we need to have immediate access. The Ofsted Preparation offer is the equivalent of a full day of LSIP support, which can be supplemented from the bespoke menu and will be tailored to the preparation needs of the school. The day of support can be accessed in the year up to the point at which the school or academy is due to be inspected. If the inspection does not happen in that window then a second day will be scheduled in the following year. The day of support often comprises shorter sessions which are timed to meet the needs of the group taking part (senior leaders, middle leaders, governors/trustees, etc.). Ofsted preparation support may include document review, interview preparation and school evaluation activities as required by the school or academy. The opportunity to work with a LSIP who is also currently inspecting was a significant factor in our successful inspection. It supported us in being confident that a wide range of leaders could play an effective part in the inspection itself. This support can be used very flexibly to ensure that the school gets the most from it. Training in assessment standardisation and moderation, to reflect changes in government policy, has been offered without cost (covered by the LA Commission) or for a nominal charge over the past two years. Much of this programme has been focussed on the primary sector, although events for the secondary and special sector are happening for the first time this year. Subscribing schools will have unlimited access to the 2018/19 programme, which is set out in draft form here. 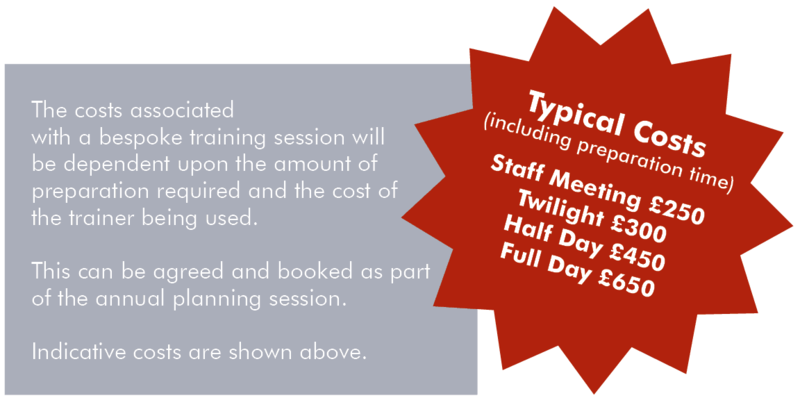 Additional sessions may be offered in the event of high demand or changes which would benefit from new content being added to the programme. It is so important for primary school leaders to be familiar with STA requirements for the end of Key Stage 1 and Key Stage 2 assessment criteria. These briefings have been developed and funded by Learn Sheffield through the commission. The briefings would now, with the size of the commission reducing, need to move to a traded model in order to continue. Subscribing schools and academies will be entitled to two tickets for each event in the 2018/19 programme of school leader briefings. We will continue to deliver sessions with high quality speakers alongside local policy briefings. Where possible the programme for 2018/19 will be released at the start of the year, with each briefing themed to enable school leaders to identify appropriate colleagues to attend alongside them. The School Leader Briefings this year have been far higher quality than we have experienced before. The opportunity to hear speakers of this standard has been inspiring and thought provoking. The opportunity to attend cross sector School Leader Briefings has been wonderful this year. The quality of the sessions just keeps getting better and better. The programme of Subject Networks has been developed and funded by Learn Sheffield through the commission. The networks would now, with the size of the commission reducing, need to move to a traded model in order to continue. Subscribing schools and academies will be entitled to one ticket per network meeting (e.g. per termly meeting) in the 2018/19 programme of subject networks. We have included the subject networks in our staff CPD programme this year. Each term we have allocated a staff meeting session to allow our teachers to attend a network. This service is currently a commissioned statutory duty for maintained schools and an optional offer to academies. This will continue to be the case in 2018/19, with maintained schools entitled to this support universally and subscribing academies receiving the support as part of their subscription. We encourage governing bodies and trustee boards to engage with our team at the earliest stage. This enables us to support both the decisions about how to proceed and the recruitment process itself. Recruiting a new headteacher is the single most important thing we have done as a governing body. The involvement of a Learn Sheffield partner was crucial in enabling us to make a confident appointment. 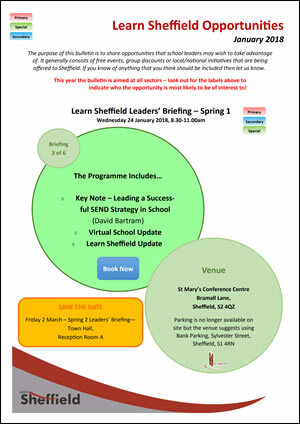 Learn Sheffield provide excellent support in leadership appointments. Working with them from an early stage supports both the Diocese and the school in considering the widest approach to securing effective leadership. The support of the Learn Sheffield Improvement Partners in succession planning and recruitment is just one part of the wider service they offer. Deeply grateful! 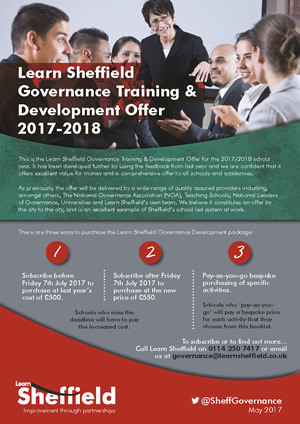 Governance training is currently a traded service which can be purchased from Learn Sheffield. It will be incorporated into the subscription package, which will provide an off-set to the cost of subscription for schools who currently use this service, and enable the offer to be expanded and targeted more effectively. The Governance Training Offer includes two tickets for the Governance Conference. 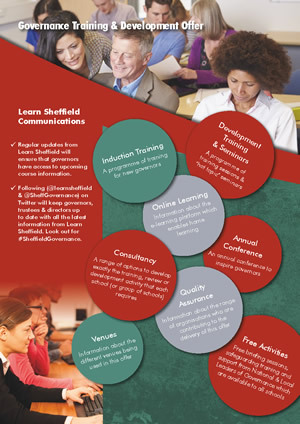 The Governance Briefings are currently free to all school and academies, funded from the Sheffield City Council commission. The briefings would now, with the size of the commission reducing, need to move to a traded model in order to continue. Subscribing schools and academies will be entitled to two tickets for each event in the 2018/19 programme of governance briefings. We bought the Governance Training package this year for £500 in each of the schools that I work with. As this is now part of the subscription this off-sets at least £500 from the cost of the new subscription offer in each school. The range and quality of Governance training has increased sharply since Learn Sheffield began to lead it. The training package, termly briefings and conferences have all been high quality. 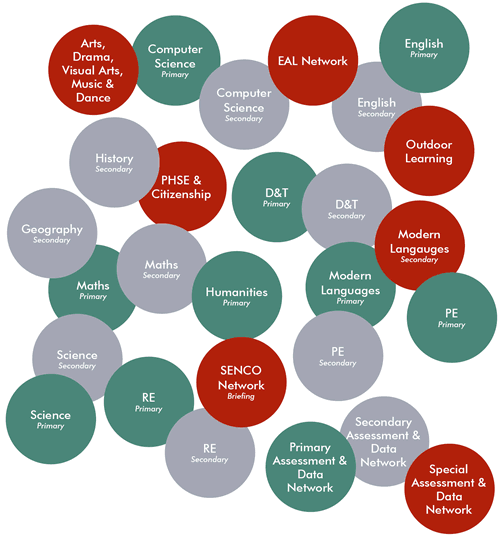 The entitlement of each school and academy to support is currently determined by the categorisation grid, with red and amber schools receiving a significantly larger entitlement to support. This has been funded from the Sheffield City Council commission. The new commission will explicitly link part of the funding provided to support for vulnerable schools. The safety net offer can, therefore, be included within the subscription without contributions from schools and academies categorised as ‘green’ subsidising the support given to more vulnerable schools. The safety net will follow the same model as previously but with a much reduced offer in terms of the number of additional days. Maintained schools also have access to support and challenge planning meetings as part of the statutory duties that are being delivered by Learn Sheffield within the universal part of the offer. The exact number of days will be confirmed when the new categorisation grid is shared in the summer term, but it is likely to follow the chart below. The support and challenge process was a big part of the progress that my school made. The meetings provided a solution focussed approach to our issues and ensured that we received support that was targeted to the right areas at the right time. Subscribing schools and academies will also have access to the following services, support and opportunities. This part of the offer is funded predominantly by subscription income, although the SCC Commission does include an expectation that Learn Sheffield will provide system co-ordination. Much of this section contains elements that are hard to quantify in monetary terms, but in discussions are often the aspects of the role played by Learn Sheffield that school leaders value the most. One of the key drivers behind the creation of Learn Sheffield was the mutual desire of all those involved in education within the city to retain a Sheffield identify and a shared purpose. The decision of every publically-funded Sheffield nursery, school, academy and college to become a member of Learn Sheffield underlined a collective commitment to the principle of improvement through partnerships. This three-year subscription offer will enable our collective approach to further develop. The collective identity that Learn Sheffield provides will be crucial in the coming years. It is essential that leaders are not isolated in the face of the most significant challenges we have confronted. 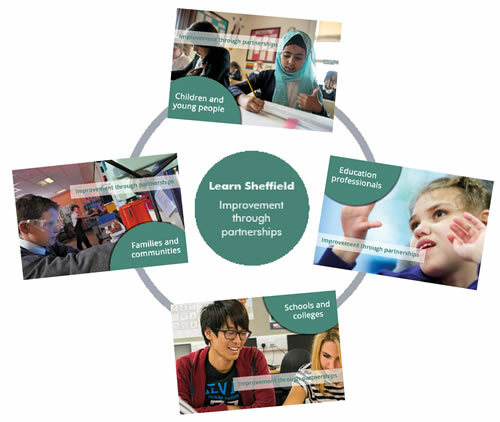 Learn Sheffield enables the education community of the city to have a productive and beneficial relationship with all sectors, key people, groups and institutions.It works for all Sheffield’s children. The power of partnerships like Learn Sheffield has yet to be fully realised or, indeed, evidenced. Yet they have sufficient early promise to merit practical support and encouragement. They represent the best chance of creating the stronger, more effective and equitable system that we all want to see. 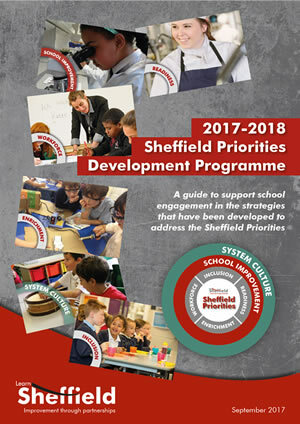 Learn Sheffield will produce a new Sheffield Priorities Development Programme for 2018-2019 in the summer term of 2018. It will provide a guide to support schools and academies to engage with the strategies that have been developed to address the Sheffield Priorities, as well as provide an overview of the partnerships which are driving educational improvement in the city. The programme will not be exclusively for the use of subscribing schools, as grant funded activities will be defined by the grant criteria, but Learn Sheffield funded activities will offer preference to subscribing schools. This programme will complement a new updated version of the Sheffield Priorities which will also be available in summer 2018. The latest version of the priorities will identify the key strategies that will be built upon in the 2018-2019 school year. The Wellbeing & Development Advisory Group will report on their progress and plans in the summer term of 2018. Learn Sheffield is working with a number of local, regional and national partners to develop a Careers Strategy for the city. The development of a strategy group to review PE, School Sport & Physical Activity will lead to a more joined up approach to supporting schools and academies. The further development of resources to support schools to address the mental health needs of children and young people will enhance the Healthy Minds project and the Student Wellbeing Resource. 2018-2019 will see several of our key strategies develop further and enter their next phase and also see the introduction of a small number of new initiatives. 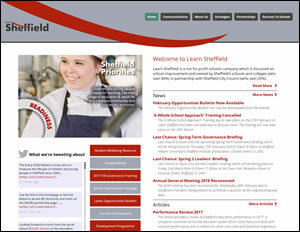 Learn Sheffield developed its communication strategy as a priority from the start of the company. The website supports the wider development of communication including the use of Twitter and the development of the Opportunities Bulletin. Effective communication is crucial to supporting a school-led system and this is reflected in the increasing use of the Learn Sheffield communication channels by key partners and stakeholders. Current channels of communication are likely to remain openly available so that they can be used by a wider group of stakeholders. Learn Sheffield subscribers will receive a log-in to access a private area of the website where specific additional content and resources (including data reports) will be hosted. Learn Sheffield will continue to make opportunities available to Sheffield schools using tools like the Opportunities Bulletin and through the use of commissions. 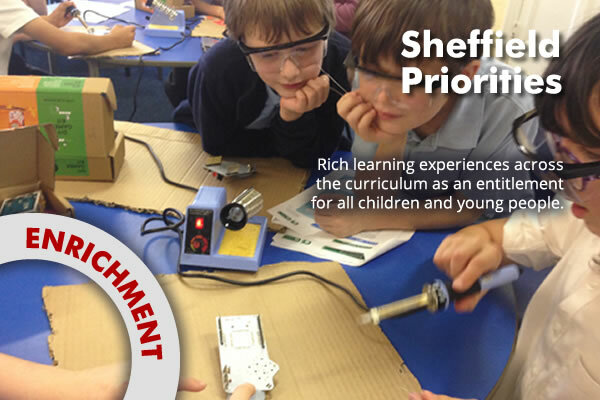 In the future some Learn Sheffield opportunities will be offered exclusively to subscribing schools. Communication from Learn Sheffield has been terrific. The Opportunities Bulletin makes it easy to access good opportunities that are available to our school. The fragmentation of the education landscape creates a number of challenges for schools and academies. Learn Sheffield seeks to make connections between those fragments so that opportunities can be maximised for the city. This is a complicated process with the system continuing to evolve and limited policy direction from central government but it is essential that we continue to work together to build an increasingly cohesive and effective partnership. Learn Sheffield plays an important role in connecting the system together in Sheffield. They help to connect our MAT and our teaching school to the priorities of the city, which is crucial if our work is going to have the impact that we want and need it to have. Learn Sheffield provides facilitation, meeting space and business support for a number of significant strategic partnerships and working groups. This enables us to see connections between these groups and the wider sector partnerships. The TSA and MAT Strategy groups are good examples of this. The Sheffield Teaching School Group was established just before Learn Sheffield came into being. It meets regularly and seeks to build collaboration between TSAs in order to maximise the impact that they can have on outcomes across the city. The Sheffield MAT Strategy Group has recently been established. It provides a forum for Sheffield based MATs to share challenges and discuss opportunities for collaboration. Education in Sheffield has always meant working in partnership; and Learn Sheffield is well placed to both lead and co-ordinate all those involved to ensure high quality teaching, learning and governance in our schools. 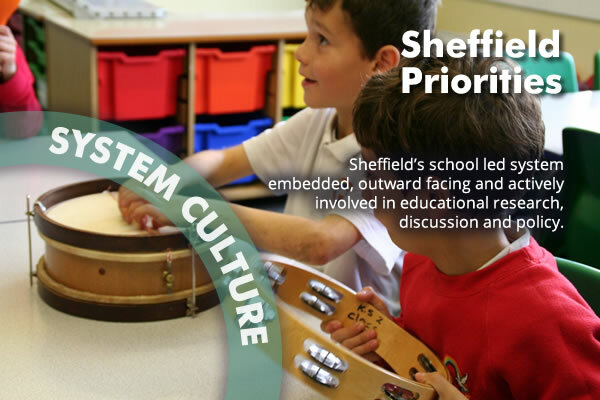 Learn Sheffield’s involvement in a wide range of groups also supports the flow of information back to school leaders and ensures that the school/academy perspective is more widely represented and understood. Examples of this would include participation in the Governance Strategy Group, Trade Union Partnership, Inclusion Programme Board, Schools Forum, Cultural Education Partnership, etc. Learn Sheffield also provides a link between the education sector and other key institutions within the city. It would be difficult and inefficient to connect the sector in this way without an organisation to fulfil this role and minimise the time school leaders need to spend away from their schools and academies. Create Sheffield: Adventures in Cultural Education is Sheffield’s local cultural education partnership. It was launched at the Crucible Theatre on Friday 2 February 2018 and aims to ensure that all children and young people in Sheffield (aged 0-24) will experience and participate in high quality art and culture. This will improve their quality of life and support their educational and employment outcomes. Create Sheffield will use the city of Sheffield as a learning resource allowing all children and young people to engage with arts, culture and heritage. A subscription to Create Sheffield is expected to cost between £125 - £175 but will be included within the Learn Sheffield subscription offer. This, when combined with a small number of core funders will support Create Sheffield to develop from a secure financial platform. Create Sheffield: Adventures in Cultural Education has a number of initial plans and proposals which are described in the booklet above. 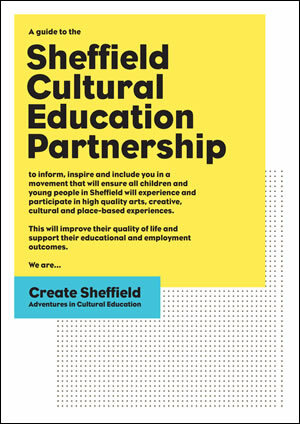 To download the latest update on the Sheffield Cultural Education Partnership or access further information - visit www.learnsheffield.co.uk/Partnerships/Create-Sheffield or follow #CreateSheffieldAdventures @CreateSheff. Point of need leadership support was also identified by a range of school leaders as a central element of the offer and key driver for their decision to subscribe. Some examples of the range of support are provided below. The importance of support being credible and available at the point that it is needed was widely recognised as was the source being independent but supportive. The importance of having expertise available when you need it, and in the way that you need it, cannot be overstated! The immediacy of support during an unannounced inspection from a colleague who knew our school well was invaluable. Learn Sheffield has provided my school with a wide range of support this year. They are a superb independent sounding board, a strong advocate and source of clear advice in difficult moments. Learn Sheffield has provided our trust with advice and practical support across a range of issues, from dealing with the press to planning for growth. The relationships they develop on our behalf and their commitment to support all Sheffield institutions is hugely beneficial. Each subscriber will have an annual planning session, which will generally take place in the summer term. This planning session can be on a 1:1 or group basis to suit the needs of the subscriber. The purpose of the planning session is to ensure that each school or academy gets the maximum value from the subscription. The annual planning session is one of the key features of this offer which differentiate it from commercial packages. 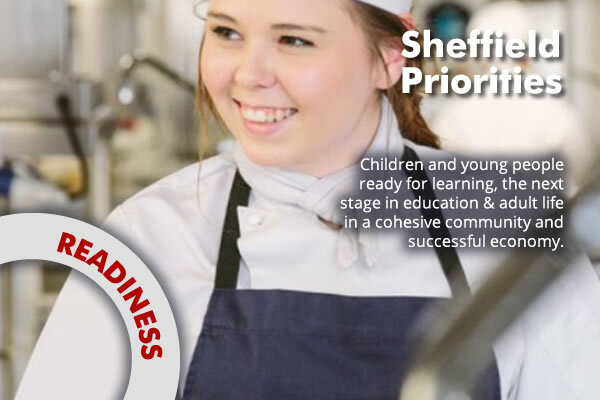 Learn Sheffield wants each of its member Sheffield schools and academies to make the maximum use of their subscription so that we can, together, have the greatest impact possible on the outcomes of Sheffield children and young people. We will work closely with Learn Sheffield to plan how the subscriptions of our five primary schools will work in tandem with our Trust resources. This offer will enhance our school improvement capacity and provide us with the external perspectives that are so important to ensuring that our improvement plans are effective. Each subscribing school/academy has a ‘credit’ which they can use to ‘purchase’ from the menu of school improvement services below. Primary and Special schools will receive a credit of £850 to spend on the options from the bespoke menu on the following pages. The credit for Secondary schools will be £1650. The ‘credit’ can be used by the individual school or can be pooled by a MAT or a group of schools in order to make a collective ‘purchase’. Schools and academies will indicate this when they subscribe and then finalise their decision in the subscriber planning session. Learn Sheffield offers a range of performance management packages for Headteachers, Principals & Executive Leaders. Each package can be scoped according to the needs of the school or academy. A range of reviewers are available including both Learn Sheffield Improvement Partners and Associates. All deployments will be agreed in the summer term as part of the subscriber planning session so that dates can booked well in advance. 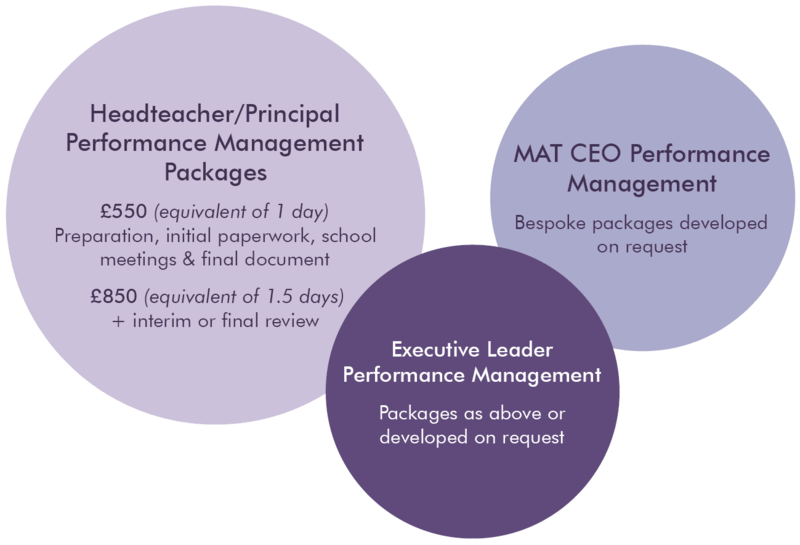 Our performance management packages are becoming increasingly bespoke, as we work with more executive leaders and those who are leading multi-academy trusts. The knowledge our team has of Sheffield schools leaves us well placed to carry out this work or find the right associate partner for a school to work with. School Improvement Services can be purchased from Learn Sheffield, typically at the rate of £550 per day and £300 per half day. Subscribing schools and academies can use their bespoke credit to purchase additional services, examples of which can be seen below. SPrimary and special schools have sufficient credit to purchase up to 1.5 days of support if they wish and secondary schools to purchase up to 3 days. Schools and academies may wish to use a proportion of this time or can supplement their entitlement by purchasing additional time. MATs or groups of schools can also pool this credit to use across their group. SThe subscriber planning session in the summer term will be crucial in ensuring that any additional school improvement services are planned alongside other parts of the offer. This will ensure that the time is used as efficiently as possible in order to have the maximum impact. If the same LSIP is working with the school or academy on multiple pieces of work (perhaps the health checks plus performance management or a review) then it is possible to reduce the preparation time in the later activities and maximise the time in school. Thinking carefully about the value and purpose of the feedback from school improvement work is crucial. A report may be extremely valuable on some occasions but at other times professional dialogue on the day may enable more time to be spent ‘on the ground’. The growth of the secondary LSIP team next year will provide Sheffield secondary schools with a great deal of flexible expertise to use to support their own school improvement plans. Subscribers will be able to use a proportion of their credits to purchase entirely bespoke data analysis and training, or chose from a number of optional reports and services. Each piece of work is bespoke and is charged at a day rate according to the length of time the work will need to be completed. Bespoke analysis or training can be designed to meet your needs covering a wide range of data sets from attainment and progress to attendance and demographic analysis. Any of the training found elsewhere in this booklet, including the Governance Training Offer and the Assessment and Moderation Enhanced Package, can be delivered as bespoke training at a venue of your choice. Some of the ways that this has been used this year can be seen below. Having a bespoke session delivered to the team in school means that we are training with the school’s own data. This enables the school to reach conclusions that everyone understands and is bought in to. 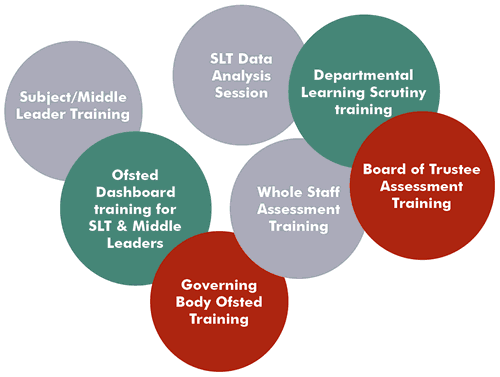 A range of packages for Multi-Academy Trusts are being developed. Bespoke packages relating to data analysis and training can be developed to meet the needs of a MAT and can be scheduled at the annual planning session. In addition to this Learn Sheffield is developing a model of Trust Review. The DfE produced guidance on good practice and growth expectations for MATs in December 2016. 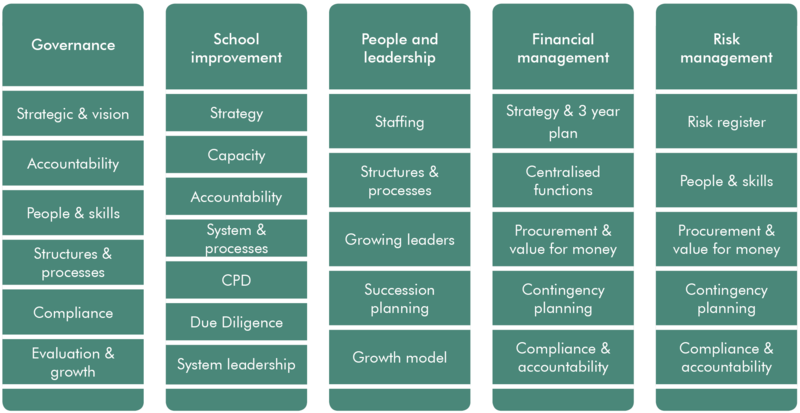 The guidance is structured around five key themes: governance, supporting school improvement, people and leadership, financial sustainability and risk management. Aligned to this is the notion of ‘Health Checks’ for new MATs and more established trusts. A model of structured peer review is being developed through a series of pilots. Ofsted are also considering the role they play in holding MATs to account. A number of ‘batched’ inspections have taken place, where all schools in a particular MAT have been inspected together but these are limited in their scope; there is currently no framework for the inspection of multi-academy trusts. Learn Sheffield can now offer support to MATs regarding their development and growth. Our review mechanism will cover all aspects of trust development and will focus on a number of key areas. Three models are proposed. Typical activities for each tier are shown below and each successive level of review includes the previous tiers. TWe estimate that the bronze package below will require 4 days, with 8 days required for the silver package and 12 days for the gold package. This will be increased if the trust wishes to include a greater proportion of time spent reviewing the effectiveness of individual academies. These costs will, of course, be bespoke to the content of the review and the size of the trust. Learn Sheffield will source specialist support on the elements of the review including, for Example, the finance aspect where our team does not have the specialist knowledge required. This will be done in agreement with participating Trusts. Feedback can also be scoped in whatever way best meets the needs of the Trust. This could take the form of verbal feedback and a short report (typically around three pages long, with separate page long appendices for the five main areas of the review), but can also be augmented by direct reporting to the Board of Trustees. Learn Sheffield wishes to develop the framework for the reviews in conjunction with one or two MATs within the city. These initial pilot trust reviews will, naturally, be costed to reflect the early stage of the model. The development of a trust review model is extremely welcome. MATs recognise that different forms of review are increasingly a reality, and so the ability to seek a challenging but supportive process scoped to the needs of each MAT can only be beneficial to the development of each trust. Learn Sheffield is developing a Communication Service, which will launch in September 2018. The service, which will be co-ordinated by a new Communications Officer in Learn Sheffield, will be traded but subscribing schools may choose to use part of their bespoke credit to purchase either version of this service. If schools have an existing service which ends before September 2018, then they will have access to ‘rapid response’ communications during the summer term, assuming they have indicated their intention to subscribe to the Learn Sheffield offer. The advice we have received from Learn Sheffield this year in relation to the media has been very useful and supportive, both in dealing with a potentially difficult news event and also being proactive in working with local media to share our strengths with the wider public. 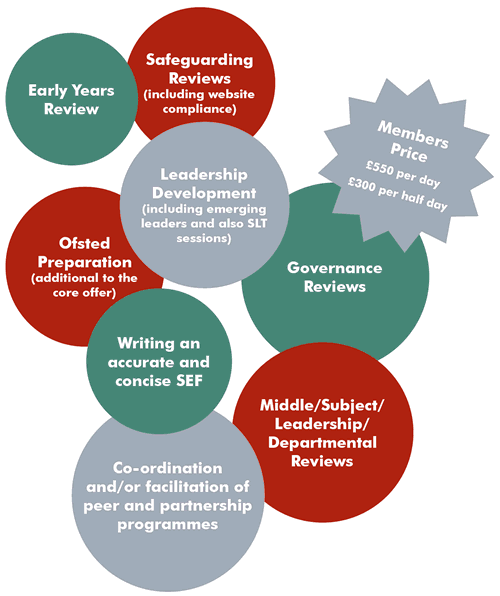 A proportion of the bespoke credit that is available to schools and academies (£850 for primary or special schools and £1650 for secondary schools) can be converted into a £250 discount on other Learn Sheffield services. This option can be used on two services which relate to governance and GDPR compliance. The discount can be applied to either or both of these services. The Governance Improvement Service provides clerking, advice and guidance to school Governing Bodies and academy Trust Boards. This service will transfer to Learn Sheffield in April 2018. 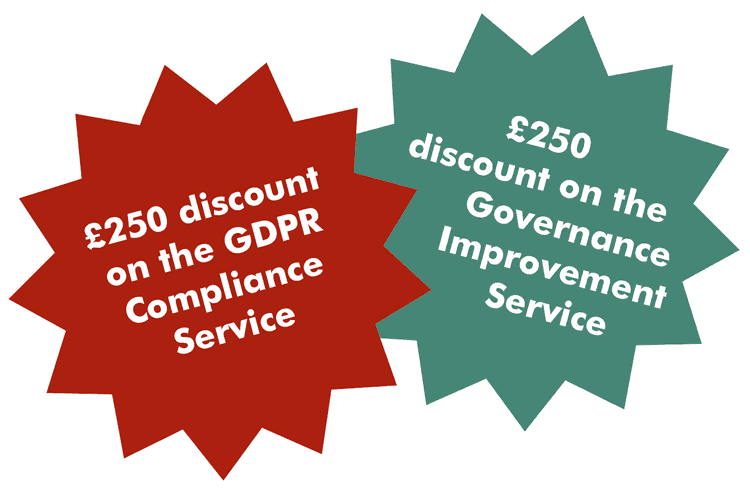 The EduDataPro GDPR Compliance Service is an associated Learn Sheffield service. It provides the initial training and audit processes associated with becoming GDPR compliant and provides the DPO role which will support the school or academy in remaining compliant. Both of these services can commence in the summer term of 2018 or from September 2018. A school or academy can use the discount as part of their 2018/19 subscription year even if the service delivery begins before then. The opportunity to use some of the bespoke credit on other services is very helpful, especially in the current financial climate. Toby Wilson (EduDataPro) has developed a comprehensive service to address the needs of schools and academies in relation to GDPR. Learn Sheffield has teamed up with Toby to broaden the service which will also be delivered by Andy Wynne from Learn Sheffield. This will enable the service to work with a larger number of schools and academies and provide each with additional capacity at times of high demand. To find out more contact toby@edudatapro.com or andy.wynne@learnsheffield.co.uk. The Governance Improvement Service will transfer from Sheffield City Council to Learn Sheffield in April 2018. The service will provide continuity throughout the remainder of the current academic year before starting to develop greater options for schools and academies as we move into 2018/19. Learn Sheffield will continue to be commissioned by Sheffield City Council to categorise all schools and academies in the city. We intend to offer the same approach to all schools and academies, regardless of whether they have subscribed to the Learn Sheffield offer. The School Improvement Strategy will be reviewed in the summer of 2018, ready to be re-launched in September 2018 for a further three years. It is likely that the approach to categorisation will be similar to the current process. Providing sustainable support for schools, irrespective of their category is one of Learn Sheffield’s most important functions. Our collective responsibility is to every Sheffield child. Together, we must cultivate this duty. Schools and academies will be provided with agreed criteria for their sector and a headline data dashboard for each school or academy. The process, which will have been agreed for each partnership group (e.g. primary locality or sector partnership group), will begin with the school or academy completing a self-assessment of their category, in the same way they have done previously. Each partnership will then complete the process of categorisation following the process that they have agreed. This usually involves an element of peer scrutiny and professional dialogue alongside an input from a Learn Sheffield Improvement Partner who will seek to ensure that the process is consistent. The final category will be communicated to each school by Learn Sheffield. Each school or academy that is categorised amber or red in the current process, will have been offered the opportunity to attend a support and challenge meeting. These meetings are designed to be diagnostic in nature, seeking to establish a shared understanding of the improvement priorities and next steps. If a school subscribes to the Learn Sheffield offer it may, if categorised as yellow, amber or red, be entitled to some additional ‘safety net’ support. This is outlined on page 28. 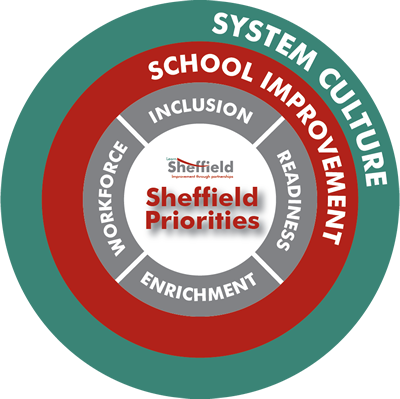 Learn Sheffield will also continue to be commissioned by Sheffield City Council to deliver the statutory duties which remain in place in relation to school improvement. This will mean that maintained schools will continue to be entitled to activities like the ones below, regardless of whether they have subscribed to the Learn Sheffield offer. A maintained school that has not subscribed to the Learn Sheffield offer will be entitled to a diagnostic ‘support and challenge’ meeting. This means that a school, which is categorised as amber or red, will be invited to meet with Learn Sheffield Improvement Partners to discuss the reasons for the categorisation. Any additional support that is required would need to be paid for by the school. If the school has subscribed to the Learn Sheffield offer they will be entitled to additional days from the ‘safety net’ aspect of the Learn Sheffield offer, in addition to the support they will receive as a subscribing school. This is expected to amount to 1 day for a yellow institution, 2 days for amber and 3 days for red. Maintained schools will continue to be entitled to support with the recruitment of a Headteacher, which has traditionally involved a Learn Sheffield Improvement Partner taking part in the process alongside governors. The attendance of a Learn Sheffield Improvement Partner during an Ofsted inspection is also expected to remain part of the statutory duties. This usually includes speaking to the inspection team during the inspection and then attending the feedback to the school. Access to statutory moderation, for those maintained schools who are selected each year will remain cost free. Learn Sheffield would always want to have an open line of communication to all Sheffield nurseries, schools, academies and colleges. Every publicly funded education institution in the city has chosen to be a member of Learn Sheffield and this should continue regardless of the decision each school or academy makes about subscribing to the offer. The universal offer seeks to balance our vision for the city with the need to build a sustainable and fair model. We are mindful that each organisation is attended by Sheffield children and young people and staffed by Sheffield education professionals. Learn Sheffield would never want to lose communication or not be available to provide support when required. This clearly also needs to be balanced against the expectations that subscribing schools will have about how the resources that they have maintained through their subscriptions are deployed. A non-subscribing school or academy will be able to seek advice from Learn Sheffield as they do currently, but cannot expect to be provided with on-site support or extended pieces of work which would detract from the time available to subscribing schools. If you would like to discuss the offer further or would find it helpful for someone to come to your school or academy to support your discussions, then please contact us. Some people have found it useful to go through the offer with us to identify the value of the specific activities that their school or academy requires. This process also identifies areas of off-set to the cost from the existing spending of the school or academy. Book your subscriber planning session as soon as you express your intention to subscribe! In order to indicate your intention to subscribe please contact us, as above, so that we can send you a subscription form to complete. We will then be in touch to arrange your subscriber planning session which can either take place with your individual school or with a group of schools of your choosing. Contact Stephen Betts (stephen.betts@learnsheffield.co.uk) if you would like to discuss the annual subscriber planning session or book it into the diary. The value for money in the offer makes this a no-brainer decision for my school. I would have subscribed in order to be part of staying together as city, but the value for money makes this a very easy decision to make. The overall value for money in the offer is, as you would expect when each £1 of subscription effectively purchases £2 in value, very strong. In the current financial situation, however, all spending is under pressure and the need to off-set the cost of the subscription by identifying existing spending that it can replace is important. 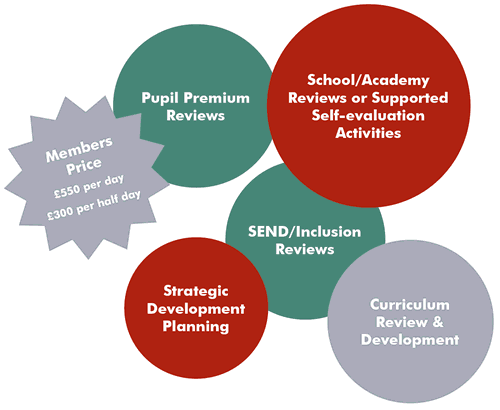 We have tried below to illustrate the value for money and the off-sets that are available for different schools and academies when considering this subscription offer. Please note that the ones which refer to the bespoke menu need to be chosen by the school or academy using the credit provided. We are conscious of the challenging financial climate and have included an annual break-clause to the offer to support schools who are concerned about changes to their position over the next three years. Learn Sheffield will also seek to bring additional funding into the city which will provide further opportunities to off-set the costs of subscription. My school currently buys governance training (£500), a performance management package (£450 currently), crisis communications (£500 currently) and will pay for two days of consultant support (£1300) this year. This basically covers the cost of my subscription without taking account of rising costs to the things I buy already, the support I get from my locality or things I use now (e.g. data analysis, leader briefings, etc.) that will have costs in the future. Learn Sheffield is an important part of our partnership working within the city and ensures that in an increasingly fragmented system we can retain a common voice and purpose within Sheffield. We see the subscription of £6 per pupil as providing good value for money given the work that it helps to facilitate. The Learn Sheffield subscription will allow me to offset other costs while managing an increasingly squeezed budget but will also mean that we can continue to maintain a support system for Sheffield schools - this is incredibly important now more than ever. The subscription will provide good value for money for our school, especially when considering the high quality advice I know I can rely on through a phone call when it’s needed. I have costed the value of the elements of the subscription that my MAT group of schools currently uses. We will pay £16k for our schools to subscribe next year and receive £22k in value. This was without including the aspects of the offer that some of my schools use but not all – the actual value next year will be higher still. Sheffield schools support each other and recognised the common ties that bind us together. We are motivated by a desire to ensure that the children in this city get the best possible education. Learn Sheffield plays an essential role in supporting school leaders to achieve this aim by providing support whenever we need it. To know that at the end of the phone is somebody that understands me, my school and the context in which I work has always provided me with great solace and allowed me some sleep at night! To steal a line from a learned colleague; ‘the subscription fee is worth it, for access to the batphone alone!’. What is the value of the Sheffield City Council Commission? Sheffield City Council is commissioning Learn Sheffield to the value of £960k (£320k per annum) over three years. The Council is also providing up to £185k of transitional support, which is tied to the level of subscription but available flexibly over the length of the commission. The table below is taken from the paper which went to Schools Forum at the end of January 2018. If the level of subscription is higher in the first year then less of the transitional funding is needed in the first year. If the level of subscription is sufficient to reach the level of funding below then the transitional funding will be unused. How many schools/academies are needed for the offer to be viable? The value of the subscriptions needs to reach £355k for the system to be viable. The target for subscriptions is £430k which is the point at which the contributions of Sheffield City Council and the school/academy sector are balanced in the first year and the growth required in the second and third years is less aggressive. What happens if we subscribe but then can’t afford to continue? We have built an annual break-clause into the offer which will provide a window in which the school or academy can give notice that they will cease to subscribe at the end of that school year. 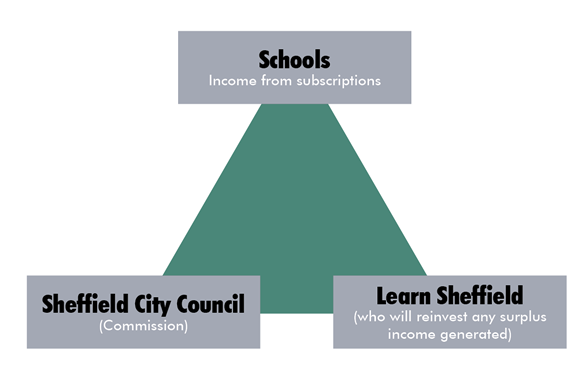 What happens if Learn Sheffield doesn’t get enough subscriptions for the system to be viable? The impact of partnership working on the outcomes for children and young people in Sheffield has been profound. Learn Sheffield has built on this and increased connectivity across the city. As the challenges we face, as an education sector keep increasing, the importance of Learn Sheffield cannot be overstated. This will depend on how close to the £355k viability line we are. If it was close to this amount then it may be possible to adjust the budgets and the offer, and then check with schools and academies if they are happy to continue with those adjustments. If the level was significantly short of £355k then this would indicate that the model was not the right one. Learn Sheffield would take realistic options back to their membership who would then decide on the future direction of Learn Sheffield. These options would be likely to include taking Learn Sheffield in different directions or bringing it to an end. Why should my school/academy sign up to this offer? We believe this one has been answered, throughout this booklet, by the voices of school leaders. Learn Sheffield is a values driven organisation with a genuine vested interest in all Sheffield children and young people. It is a reflective organisation that listens and always tries to improve the offer that it makes and the impact that it has. The question I keep asking myself is, if it no longer existed, what then? The only answer I keep coming to is that we will have a further divided and fragmented city. That is not the Sheffield I want to see.